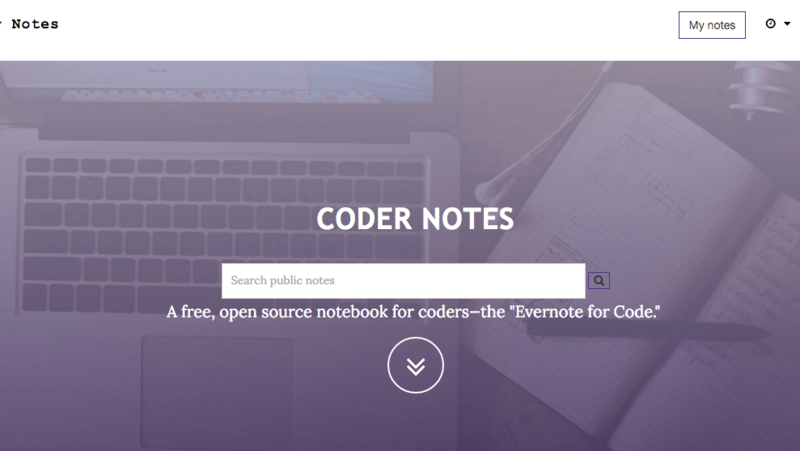 Popular note-taking apps aren’t exactly coder-friendly. It takes extra time to separate code from regular notes, and searching for particular snippets can be a pain. Coder Notes fixes these problems. The Coder Notes interface formats code appropriately with Angular Markdown and HighlightJS, which is a huge leg up on Evernote, where code is formatted exactly as the rest of the text. 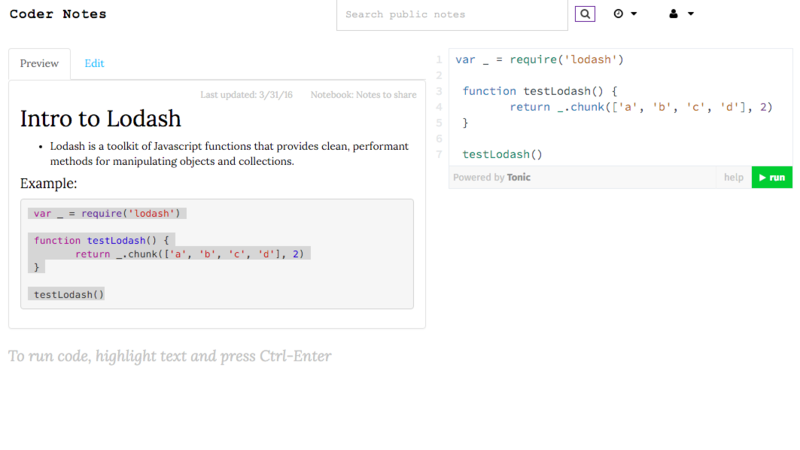 Coders can organize notes by tag or notebook and—rather than toggling to a repl.it window—can execute code directly within the note with the help of Tonic, a sandboxed NodeJS environment. 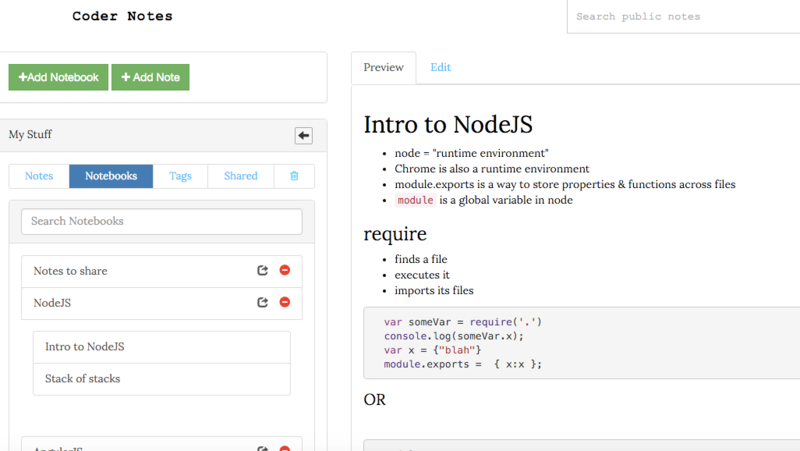 Users can also share notes with friends, make them publicly searchable to the world, export notes as Gists, and save code snippets from any website with the Coder Notes Chrome Extension.